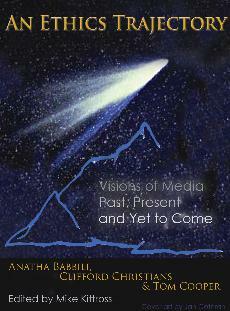 The Spring 2008 issue of Media Ethics is replaced by the book An Ethics Trajectory: Visions of Media Past, Present and Yet to Come. Here's information about recent or upcoming media events as well as a call for papers. More than 1,100 media industry leaders, regulators and academics from 56 countries attended the Pacific Telecommunications Conference, January 2008, in Honolulu, Hawaii. Useful addresses, e-mail addresses and phone numbers. Media Ethics is independent. It is editorially eclectic, and the sponsors are not responsible for its content. It strives to provide a forum for opinion and research articles on media ethics, as well as a venue for announcements and reviews of meetings, opportunities, and publications.